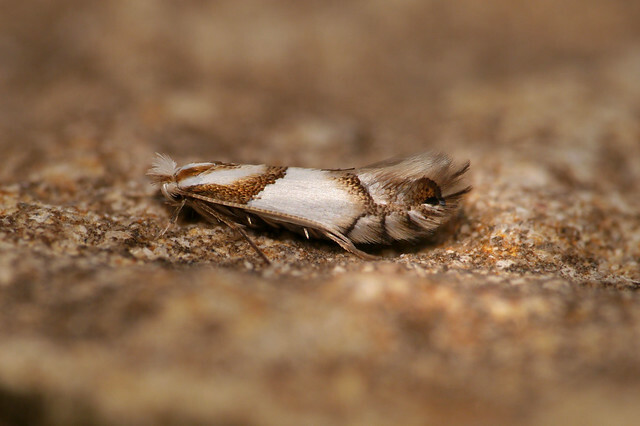 My first breeding success of the year - Phyllonorycter roboris. I made a special effort last October to try to find mines of this relatively scarce species. In Worcestershire it has been recorded fairly regularly as a leaf mine at the Wyre and Monkwood. There are also older records from the Knapp and the Old Hills. I found the mines to be extremely difficult to find in Monkwood last year - I managed one intact mine in a two hour search. Things were slightly better in the Wyre at Lodge Hill where I found 4 mines in a similar time period. 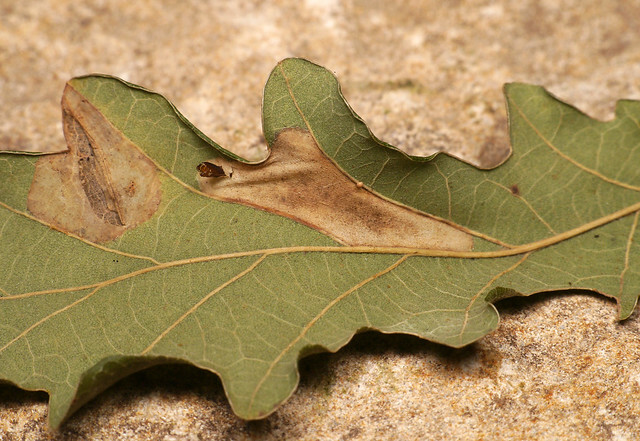 The mines are reasonably easy to differentiate from the other Oak feeding Phyllonorycters. They are large (15mm+ long) underside mines usually with a smooth surface. We don't have any images of their bits on the dissection site Oliver. When you sign up for the daily digest to be delivered by e-mail, your name is lost, so right at the start I'll be like a nagging mother and ask that you add your name right after the blog. I've done it for you this time! Nice work as always Oliver and an interesting post. Cracking moth too.